Hi Tim, I’m on staff at Northwestern University. 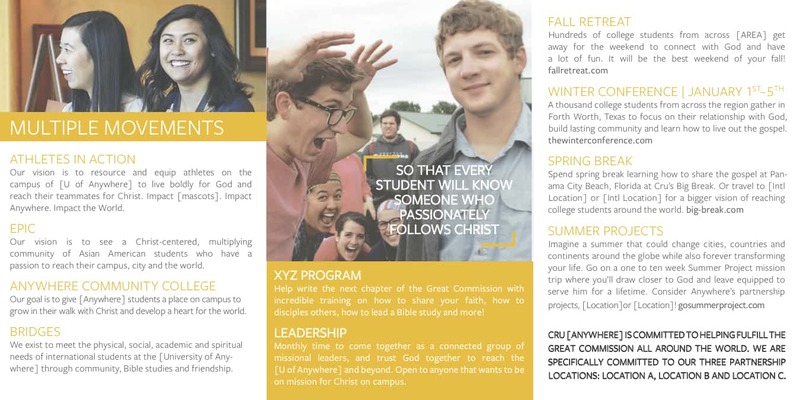 I love the brochure and would love to edit it for our campus. None of us have access to InDesign or Photoshop though, would it be possible to have some of our photos/color scheme put in? 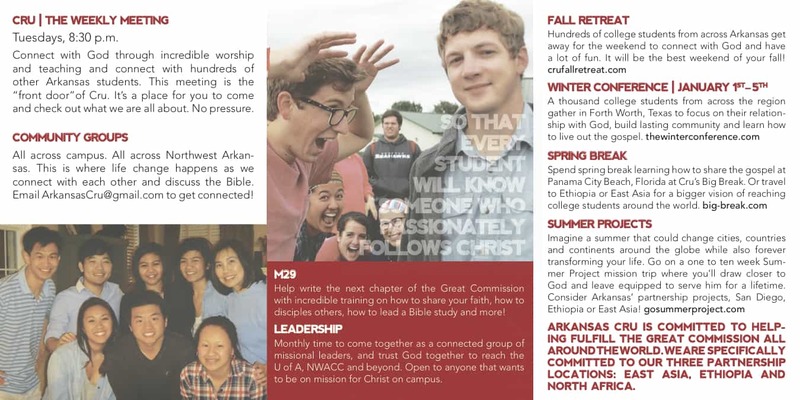 Also love the one you did for Fall Retreats. Thanks for all your work! 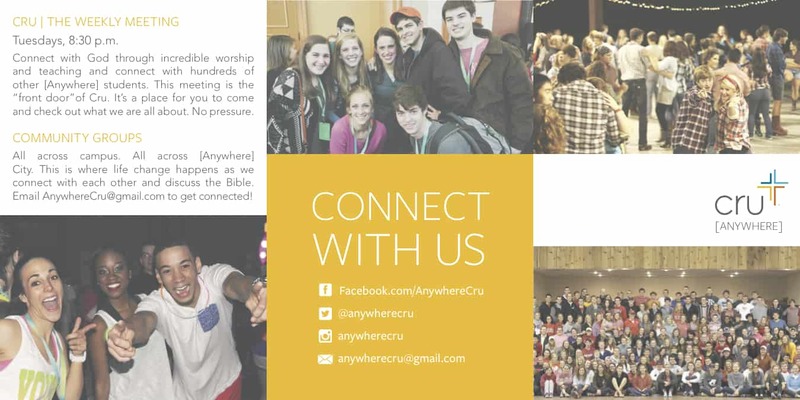 Could you send a PDF of this Cru brochure that I could edit? Thanks! Unfortunately I don’t have an editable pdf! Sorry! maybe find a student who has Adobe InDesign?? Hi there! Wondering if this brochure could be made available in Pages? Our team would love to use it if we could! Unfortunately it’s not! Sorry! maybe find a student who has Adobe InDesign?? We did a free trial of photoshop and were able to edit it. Thank you so much! This material is great.